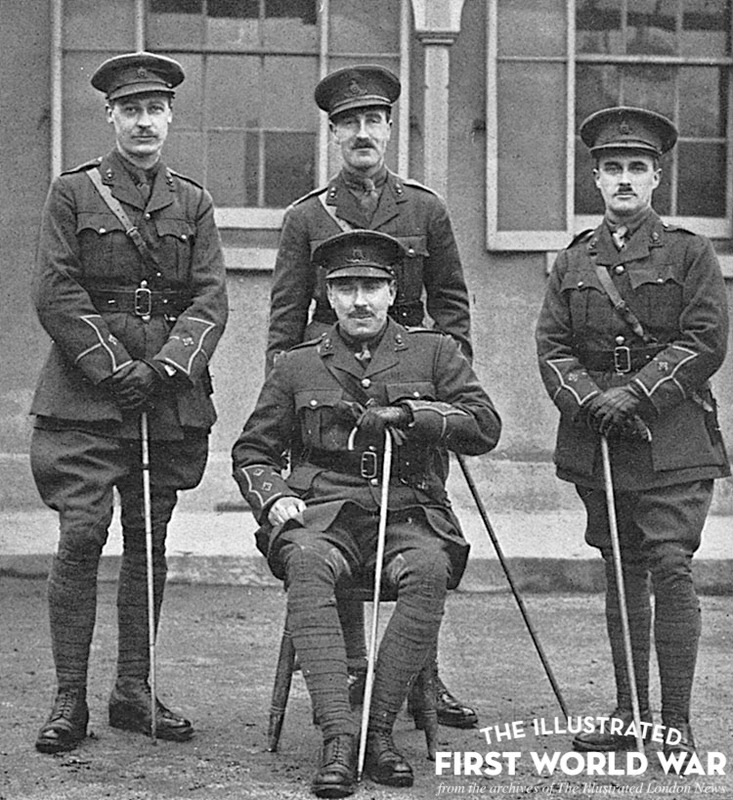 Some officers of the Royal Garrison Artillery, self-styled “The Press Gang”. Included are Centre rear: 2nd Lieut. 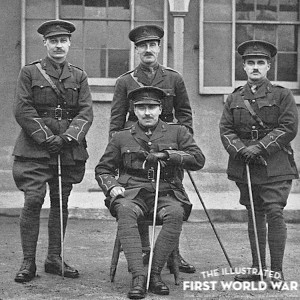 D. C. Maddick, back centre, (of The Illustrated Sporting and Dramatic News from which this photograph is taken), and seated, Lieut. Bruce S. Ingram, editor of The Illustrated London News (and grandson of the paper’s founder). With the centenary of the First World War upon us, ILN Ltd, the custodians of the celebrated Illustrated London News and Great Eight Illustrated Magazine collection archives, felt a responsibility to make the 1914-18 archives available to the public for research, education and pleasure. With the help of a grant from the Heritage Lottery Fund, The Illustrated First World War website was created. Today, for the fist time in 100 years, the public are invited to search the First World War pages of The Illustrated London News. The Illustrated War News and the wartime years of The Sphere, The Sketch, The Tatler, The Bystander, The Graphic and The Illustrated Sporting and Dramatic News will come online to complete this unique digital collection covering the First World War. To enhance the user experience, we will be adding new functionality, including advanced search functions. Should there be a demand, our teaching pages will also develop over time. There will also be improvements to the “user generated content” functions and it is our hope and intention that users will add depth and interest to the archives by adding their 21st-century perspectives and by opening conversations with like-minded users via the comments boxes below the archive pages. To use this function, users are required to register and sign-in. Whether your interest is the extraordinary frontline illustrations of Fortunino Matania, the famous cartoons of Bruce Bairnsfather, or finding a relative in one of the rolls of honours, there’s something for everyone to search and discover.